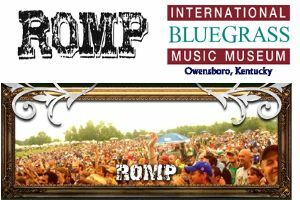 Owensboro, KY -- After a performance at ROMP 2012 which left our biggest crowd ever begging for more, Old Crow Medicine Show spent 2013 entertaining audiences worldwide and gaining even more critical success. On September 17th, 2013 they received the honor of being inducted as the newest members of the Grand Ole Opry. Other highlights from the year included winning a Grammy for "Best Long Form Music Video" for the film Big Easy Express, and having their classic single, "Wagon Wheel," receive Platinum certification for selling over 1,000,000 copies. You're invited to join us on June 28th, 2014 when OCMS returns to ROMP to set the skies on fire. Wilkesboro, NC -- MerleFest, presented by Lowe’s and slated for April 24-27, 2014, announces the addition of Old Crow Medicine Show to the festival’s Friday evening lineup. The four-day event, an annual homecoming of musicians and music fans, will once again take place on the campus of Wilkes Community College in Wilkesboro, North Carolina. As previously announced via social media to the festival’s fan base, singer-songwriter Holly Williams will also perform at MerleFest 2014. Nashville, TN -- /Opry.com/ Popular modern-day string band Old Crow Medicine Show was formally inducted into the Grand Ole Opry by Opry members Dierks Bentley and Marty Stuart. Among the award-winning group’s first performances in Nashville were on the sidewalks outside the Opry House in Summer 2000, playing for fans entering and exiting Opry performances. The band graduated to the Opry stage for its official Opry debut on January 13, 2001, quickly became a fan favorite during dozens of Opry performances since, and was invited by Stuart to join the Opry on August 16 in Cleveland, Ohio. North Adams, MA -- In a flag-planting preview to its bluegrass and roots music festival at MASS MoCA in late September, FreshGrass presents Old Crow Medicine Show in MASS MoCA's Hunter Center for the Performing Arts on Tuesday, May 28, at 8pm. Old Crow Medicine Show (Ketch Secor, Critter Fuqua, Kevin Hayes, Morgan Jahnig, Gill Landry, and Chance McCoy) shot to stardom as energetic performers with an unbridled spirit that leaps off their strings whenever they pick up an instrument. Discovered by legendary bluegrass picker Doc Watson while they were busking on a street corner in Boone, North Carolina, the group's ascendancy happened on the heels of its first major appearance at Watson's annual Merlefest music festival. So well-received there, the band followed that appearance with a residency at The Grand Ole Opry, which further launched a career whose success now spans across two decades, over 800,000 album sales, and a Grammy award. 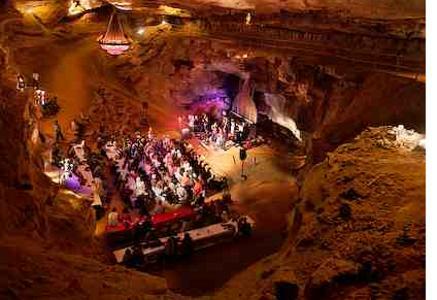 Nashville’s own Old Crow Medicine Show will once again play the historic Ryman Auditorium, this time to ring in 2013. This is the third year that Old Crow has celebrated the New Year on the Ryman stage, in the past bringing the audience to their feet with such hits as “Wagon Wheel” and “Caroline.” After the first hsow was over, fans immediately began asking to make it an annual event, and they’re finally back! Singer and fiddle player, Ketch Secor, has said: “Playing the Ryman is like coming home. Having the chance to play that historic stage is always a humbling and inspiring experience.” Old Crow released their newest album, “Carry Me Back,” on July 17th of this year. Pokey LaFarge & The South City Three will open the show.